County Executive Officer, Rick Haffey, has announced that he plans to retire in the late summer of 2018. He revealed his plans to County staff via email today, Friday, December 22nd. 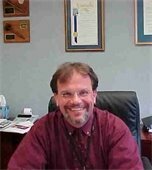 Rick has worked at Nevada County since 1999, initially as the Chief Fiscal/Administrative Officer of the Health and Human Services Agency. He started working in the County Executive Office in 2000 as Assistant County Executive Officer, and was appointed as County Executive Officer in January 2003. In addition to his time at Nevada County, Rick has over 40 years of public sector experience, including perspectives from positions as an appointed manager, and elected official, and manager of a non-profit community partner. The Board of Supervisors will appoint the new County Executive Officer near Rick’s retirement. The recovery process after a wildfire takes time. The Nevada County Office of Emergency Services continues to coordinate fire recovery efforts with non-profit, state and federal partners for debris clean-up and assistance efforts. The physical clean-up of properties that are being cleaned by CalRecycle, the State's clean-up program, is nearly complete. Thirty-four of the participating thirty-nine properties are cleaned with soil samples that have been sent out for testing to ensure the health and safety of the burn area. Soil reports will be sent to Nevada County Environmental Health, but no official reports have been received yet. Once soil tests have been cleared, property owners are able to start the rebuilding process. All County-related building permit fees and County impact fees have been waived for homes or properties that were affected in the Lobo or McCourtney fires. To find out more information about the rebuilding process and the waived building permit fees, visit the webpage on Rebuilding Your Home after the Lobo or McCourtney fires, or give the Building Department a call at (530) 265-1222. County staff has continued to monitor the burn areas to make sure there are no erosion or run-off issues. Earlier this week, staff reported that almost all burn areas are growing tall, healthy grass and are showing no signs of erosion. Residents that applied but received a letter from FEMA or the SBA saying that they were not eligible for FEMA's Disaster Assistance may still be eligible. Applications often get denied by FEMA for a lack of information to continue processing the information such as insurance settlement letters, proof of residency or ownership of a damaged property, or simply not signing the required documents. Find more information on revisiting FEMA's decision to grant Disaster Assistance in FEMA's news release. Nevada County Behavioral Health, with support from California Department of Healthcare Services and FEMA, has received funding to provide a Disaster Distress Helpline for residents impacted by our recent fires. Residents affected by the fires can call 211 (or 1-844-319-4119 if dialing from a phone that is not in the 530 area code) to be connected with a trained disaster response counselor over the phone or in person. Nevada County's annual "Point-in-Time" homeless count and Homeless Connect Event will take place on Thursday, January 25, 2018 at Salvation Army (10725 Alta Street in Grass Valley) from 10 a.m. to 2 p.m. The "Point-in-Time" count is part of the Homeless Connect Event where participants receive a free hot meal, flu shots, supplies, and haircuts. Volunteers will be working to interview participants in the Homeless Connect Event and those who complete these surveys will be offered a gift card. The interviews and information from the "Point-in-Time" count gives Nevada County a snapshot of important information about our homeless population, and is vital for securing grant funding to address homelessness in our community. The Homeless Connect event would not be possible without the dedication and generosity of volunteers, donors, and coordinating agencies like Sierra Roots, Salvation Army, Hospitality House, 211 Connecting Point, and SPIRIT Peer Empowerment Center. Sierra Roots is collecting donations for items such as flashlights and batteries, hotel size shampoos and conditioners, hygiene products and hand sanitizers, sleeping bags, tents, backpacks, heavy-duty tarps, thermal underwear, rain ponchos, cotton socks, waterproofing for shoes and boots, warm knit caps, hand warmers, warm gloves, and pet food and supplies. For more information about donations, please contact Sierra Roots by emailing Janice O'Brien at jimjan1566@gmail.com or Keith Cantrell at c.keith.cantrell@gmail.com. To schedule a pickup or drop off, you can also contact Keith directly at (530) 687-2431. Volunteers for the event are still needed! If you would like to volunteer, please email Isaias Acosta at isaias@hhshelter.org. If you are specifically interested in performing interviews, two trainings are scheduled in the Empire Room at the Nevada County Rood Center on Thursday, January 11th from 10 a.m. to 12 p.m., and Wednesday, January 17th from 2 p.m. to 4 p.m.
On Monday, December 18th, the Nevada County Deputy Sheriff's Association (DSA) partnered with Nevada County Child Protection Services (CPS) to participate in the 3rd annual Giving Tree program. This program is designed to ensure no kid is forgotten this holiday season with donated gifts for each child in the foster care or agency system. CPS provided the DSA with an anonymous list of children in need and each child's interests. The deputies put on their Santa hats and hit the store in search of the perfect gifts. With a patrol car stuffed with presents, they were delivered to CPS to be distributed. Detective Liller, a DSA board member, said "We feel it's important to give back to the community, especially to the children that are in need." Participating in the Giving Tree program is one of the many ways the Deputy Sheriff's Association connects with and gives back to the community. Thank you to the DSA for sponsoring such an important community outreach program, and to CPS for making it possible to give presents and bring holiday cheer to Nevada County agency children! Beginning December 26th through January 31st, free Christmas tree recycling is available at the McCourtney Road Transfer Station and the Eric Rood Administrative Center (Cement Hill Road entrance). The McCourtney Road Transfer Station is open Wednesday through Sunday, from 8:00 a.m. to 3:30 p.m., and Christmas trees will be accepted at the green waste area. Christmas trees will also be accepted at the Lake Wildwood Wastewater Treatment Plant, Lake of the Pines Wastewater Treatment Plant, and Alta Sierra Fire Department on Tammy Way on Saturday, January 6th from 9:00 a.m. to 3:00 p.m. Residents that subscribe to Waste Management's green waste collection service may cut their Christmas trees to fit in their carts for collection on normal service days. Trees must be free of ornaments, lights or metal stands and un-flocked. Take advantage of free Christmas tree recycling and help keep Nevada County litter free! For more information, call (530) 274-3090. Have a wonderful holiday season and a happy New Year!